I remember standing on a chair in the blue-flowered kitchen of our weathered grey Long Island ranch with a metal spoon in my hand, making the “eggs” that would form the well of dry ingredients for the wet. I may have also measured or dumped ingredients. I may have stirred. 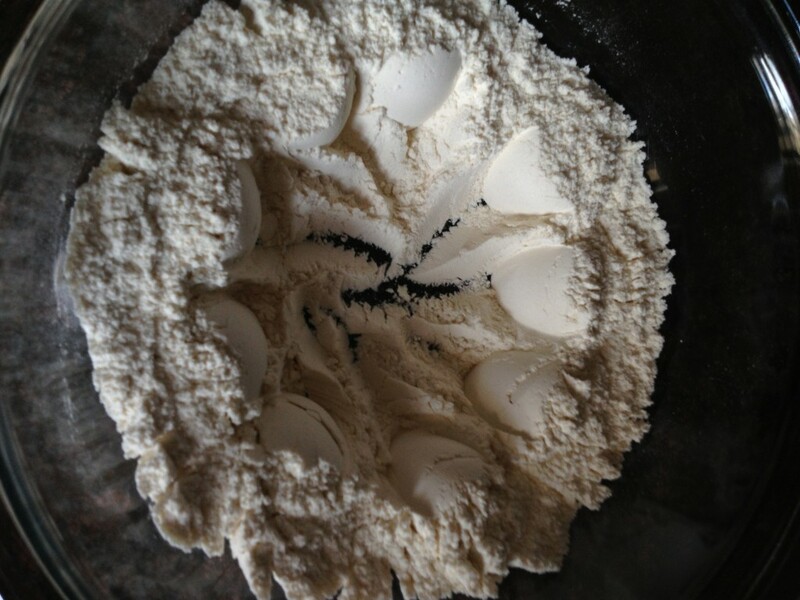 But that image of watching my hands create perfectly-shaped ovals with my spoon as I pushed the flour up the sides of the bowl is enduring. It was as tactile as playing with Play-Doh. The soft give of the flour, leaveners, and salt beneath my fingers informed my entire being of what it meant to create. My dad went through many iterations of that pancake recipe through the years: from milk, to buttermilk, to sour cream. I ate them all. By the time I was in college, though, the batter would be sitting for upwards of two or three hours before I would finally get up. I was no longer waking early to help make breakfast. But I would be lying if I said that part of the reason I went home wasn’t for the pancakes. It was the first recipe that went into my own cookbook when I moved out on my own. But all of my first attempts were far less than stellar. Too lumpy. Too overcooked and leathery on the outside. Too undercooked on the inside. Non-flippable. In all honesty, I still can’t make my mom’s banana bread, her roast chicken, just like she does. We don’t all have the same hands: the technique that works for one isn’t going to work for all. But I was determined. It’s not just that they’re my dad’s pancakes; they are actually the best pancakes I’ve ever eaten. You know how satin tries to imitate silk? That’s what most pancakes are for me. But Dad’s pancakes are silk. He uses sour cream and milk, baking soda and baking powder, to create a ‘cake that’s not only light but has a luxurious mouthfeel. Tender but with heft. Smooth on the outside, giving way to a pillowy interior. 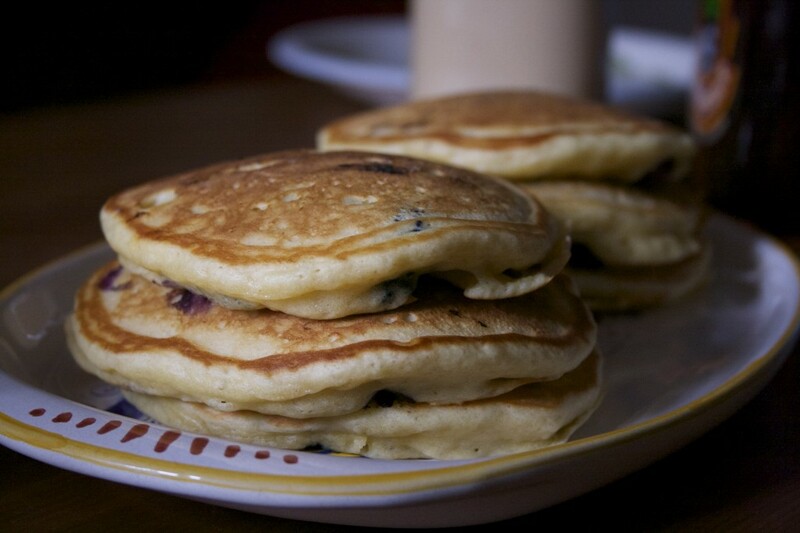 They’re not too sweet: they’re the perfect vehicle for fresh, explosive blueberries and pure maple syrup. The perfect base for any variation. So I gleaned tips from other recipes. Held onto the proportions of the ingredients and the steps that my dad passed down, but altered the way I do some of them. The wooden spoon doesn’t work for me — I use a whisk for all steps instead. Instead of two or three ‘cakes made-to-order, one person at a time, I make an entire batch, kept warm in the oven, before sitting down together as a family of two to eat at the coffee table of our cramped New York City apartment. But those little eggs in the wall of the flour? I still do that. Every single time. It just tastes better when you add a little memory. A little imagination. Place a wire rack over a baking sheet in your oven and preheat to 170 degrees. Set a griddle or large non-stick skillet over medium-low heat. This is important: make sure your pan is fully heated before adding batter. In a medium bowl, whisk together eggs, sugar, and vegetable oil to form an emulsion. Add sour cream and milk and whisk well until mixture is smooth. 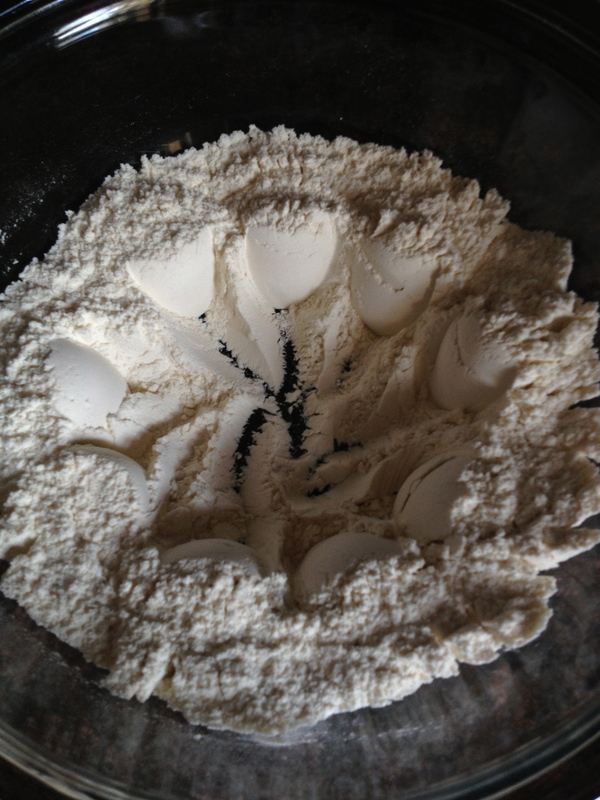 Make a well in your dry ingredients, preferably by making perfect little eggs with a metal spoon. Pour wet ingredients into the well and whisk. Careful! Do not overmix. You want those little lumps in there. Using the whisk will help ensure that your pancakes remain light and silky. When griddle or pan is fully heated, spray with cooking spray or brush lightly with oil. 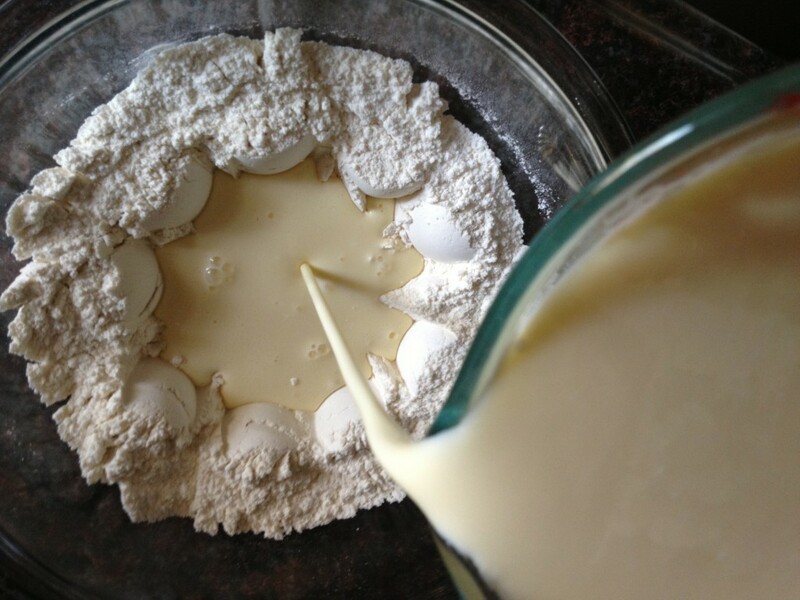 Use a ¼ measuring cup to drop batter onto griddle or skillet. Try not to overcrowd — it just makes flipping that much more difficult. 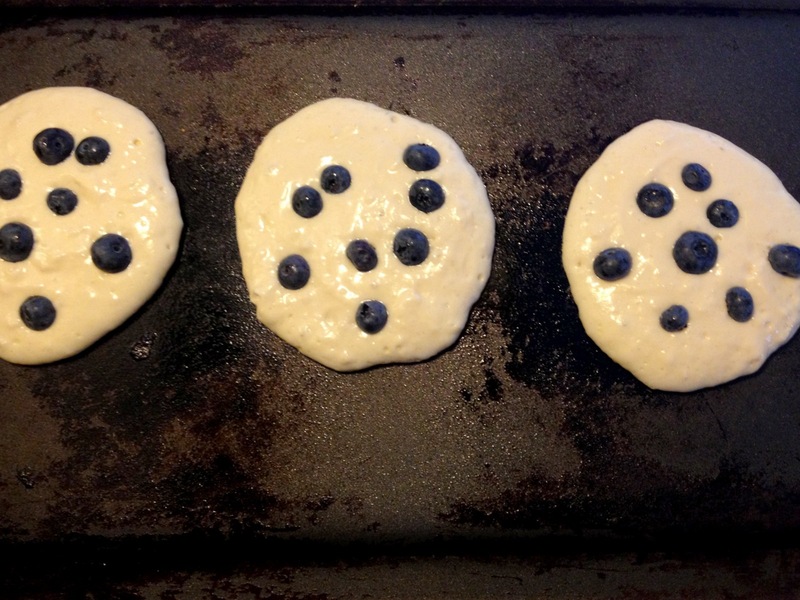 Add blueberries by tossing, one at a time, into each pancake. I love the sound they makes as they hit the batter. 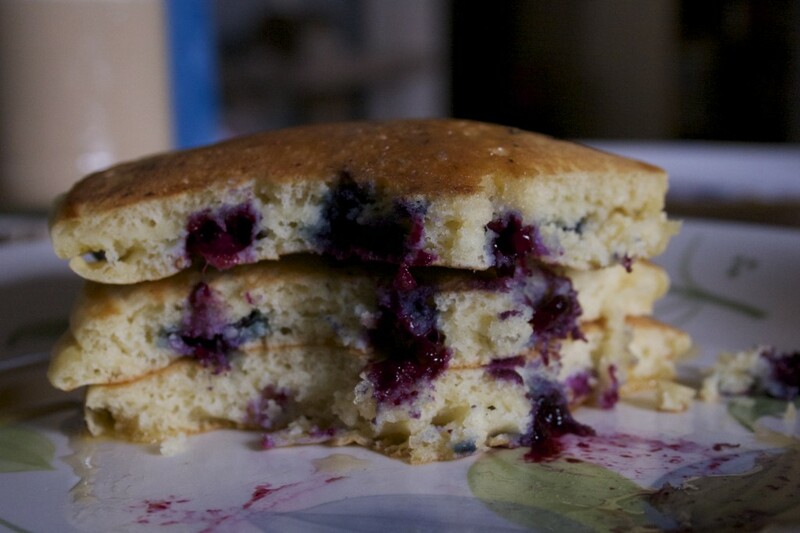 Add as many or as few as you’d like — I tend to average about eight blueberries per pancake. Check pancakes when bubbles begin to form on top. When the bottom is a light golden brown, flip with a spatula, and cook until the underside is golden brown. Transfer to warmed oven while cooking the rest. Best served with pure maple syrup, some sort of bacon product for a balance of salt, and a creamy cup of coffee. Accidentally dropped some batter in random splashes on your griddle? No problem! Eat them. Don’t even flip. Those little “drippy-droppies,” as we called them when I was a kid, are a delicious hors-d’oeuvre to your main brunch entrée. Excellent post! It had me craving pancakes! Although it wasn’t a specialty between my father and I, I do have fond memories of batter making and pancakes for breakfast on the weekend. Thank you for letting me indulge in one of your specialties! Thanks, Vicki! 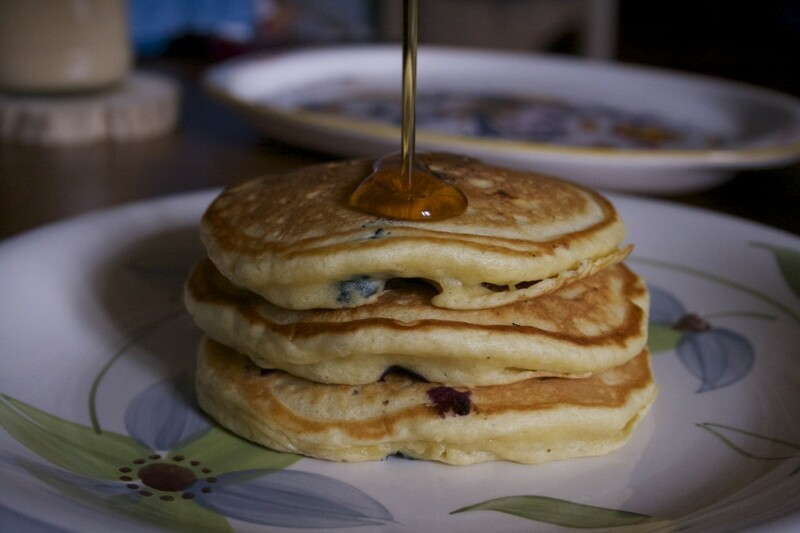 There’s just something so special about pancakes, isn’t there? So easy, and they just fill a little place in your heart. I hope you’ll try these! I maaaaaay have been picturing those brownies when I wrote that 😉 We did have our share of semi-microwaved brownies as well! I also have you and your family to thank for introducing me to pure maple syrup! Ahh, pancakes! 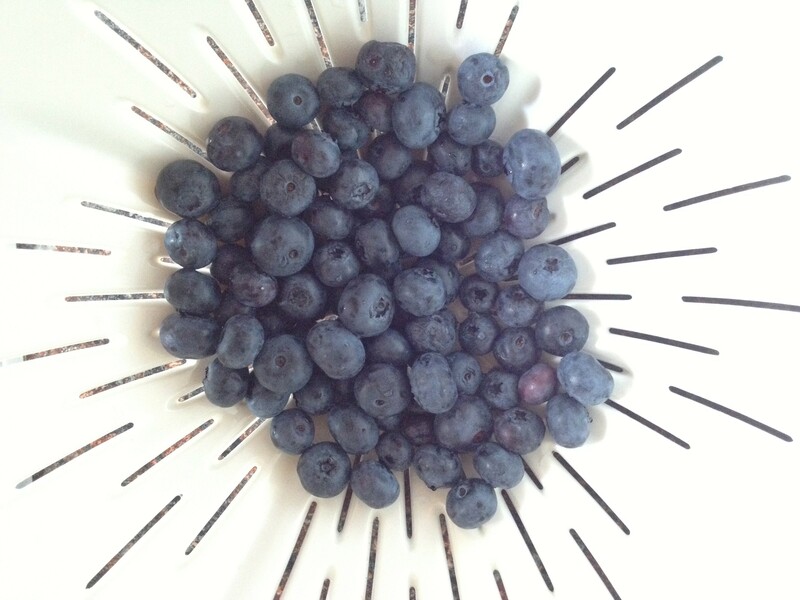 I’m anxious to try your recipe… have you used anything besides blueberries? I need some inspiration! Beautiful pictures! Can’t wait for your next post! Thanks, Kate! I definitely have — try raspberries and chocolate: I like to cut the raspberries up a bit and put them directly into the batter, and then toss the chocolate chips/chunks just as I do the blueberries while cooking. I may have also done the same with bacon and chocolate… (disclaimer: it’s delicious.) And of course bananas! Any fruit that’s not too wet, really. For those, like apples, you need to somehow take into account the extra moisture. I have a delicious recipe for apple pancakes that I’ll be putting up this fall. But I also really like putting caramelized fruit on top of the pancakes as well. Caramelized bananas or peaches are amazing!